Den 9 mars 2015 föreläste Dr Fiona Hyland, University of Hong Kong, på Högre seminariet vid Institutionen för språkdidaktik på temat The challenges faced by L2 postgraduate thesis writers and their self-initiated writing strategies. Dr Fiona Hyland is head of the English Language Education Division in the Faculty of Education at the University of Hong Kong. She has more than thirty years of experience teaching and researching in the areas of applied linguistics and teacher education in a variety of international contexts. Her PhD was on the topic of written feedback to ESL writers and she has published widely in both journals and edited volumes on the subject of feedback. 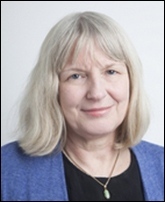 She is co-author (with Ken Hyland) of Feedback in Second Language Writing: Contexts and Issues (2006) Applied Linguistics Series: Cambridge University Press and she serves as book reviews editor for the Journal of Second Language Writing.